Summer is in full swing and here at Deals to Meals we are excited to help all of you save money on your vacation food budgets. If you are like my family, we love to vacation! With a family of 7 however, the food portion of our vacations can sometimes price our trips out of our reach. Besides the hotel costs, the food expenses can be the next highest cost of a trip. I am excited to share several tips that will help you cut your vacation food budget in half (or more) and help you save money so you can do all of the fun things you are hoping to do this summer. 1-Have a food budget before you go on your vacation. If you don’t have an idea of what you want to spend on food, it is easy to way over spend. Food can add up quickly and be a hefty part of your total vacation cost. Know what you can afford and how much you want to spend and try to stick to those figures. Knowing your budget will help you determine where you should and shouldn’t eat. 2-Do some research and have a plan before you leave. Before going on your trip do a little research and put together a plan of where you will be eating for each meal (whether in the hotel or out to eat). Find what food options are in the areas you will be visiting and find places to go that have discount coupons or specials. By simply doing a Google search you can find discounts on many of your favorite places to eat. An example of this is restaurant.com where you can get up to 50% off many restaurants in the areas you will be visiting. Whether you are eating out each meal or cooking from your hotel it is good to know where you are going and know a rough estimate of how much you will be spending on food. Many times people do their last minute vacation shopping right before they leave on their trip. They buy snacks, treats, chips, fruit drinks, soda, crackers, fruit snacks, etc. and find they have to pay full price for these ‘vacation’ items. These items are great to keep kids quiet and happy while traveling, but can break the bank if you pay full price. The best time to stock up on these snack items are the first and last week in July (as well as the week of Thanksgiving). These are the times when snack items go on sale for their lowest prices. Instead of buying one box of crackers, stock up and buy several so you can keep them in your own ‘grocery store’ in your pantry, and have them on hand for several months to come. Having bought these items on sale can save big throughout the rest of the year. If you have not had time to stock up, remember to check Deals to Meals before you go shopping to find the best deals in your area. 4- Plan your vacation around the ability to make homemade meals where you will be staying. Families, depending on the size, can easily spend anywhere from $30-$100 on one meal. This can add up quickly if you are needing to eat out three meals a day. That can be as much as $100-$250 a day spent just on food, depending where you choose to eat. Could you eat at Taco Bell for less, yes, but who wants fast food three times a day? So, the better option is to find ways to eat homemade meals where you will be staying. Whether you are sleeping in a hotel, a rented home/cabin, camping in the outdoors, or in a condo, you can easily cook homemade meals and cut your food budget in half. My family has made nearly 20 week long trips to Disneyland (I know, my husband is a Mickey-fanatic). In the beginning we were spending nearly $800 on food for a week at Disneyland. 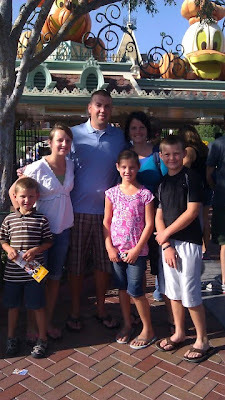 Food in Disneyland is not cheap and with a family of 7 eating outside the park wasn’t a great option either. We found we could eat homemade breakfasts, lunch, and dinner meals from our own hotel and spent less than $150 for the entire week. How did we do it? 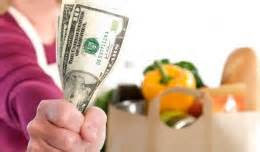 Here are a few tips of how to cook simple meals and save hundreds of dollars for the week. a. Book a hotel with a microwave and/or a mini fridge. If they offer free ice, you could even do without a fridge. Many times a hotel with a mini kitchen or microwave is only a few extra dollars a night but can save you big on your food budget. Having a microwave can make meal prep easy in your hotel. b. Bring the right tools. When I travel and plan on cooking in our hotel there are a few must-haves that make it much easier for me. I always bring an electric skillet. Not a flat griddle, but the skillets with the two inch sides. It is amazing what you can cook or warm up in these skillets. I can cook nearly every breakfast, lunch and dinner recipe I want between a microwave and a skillet. The skillet can be easily packed and is large enough to cook food for a large family of 7 like my own. It is also smart to bring paper products, plastic utensils, a kitchen scrubber, paper towels, and a small container of dish soap to make clean up a cinch. 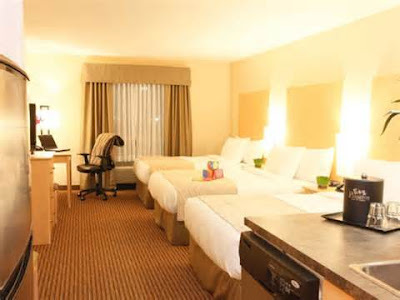 c. Choose hotel (or accommodations) that allow you to prepare homemade meals in your room. Booking a hotel with a continental breakfast is not always the least expensive way to go. Most of us can eat a pretty simple breakfast and be fine (toast, bagels, cereal, fruit, yogurt, etc.). Many times the hotels that offer the free breakfast will charge you more than it would cost for your family to eat your own breakfast in the hotel room. If you can find a hotel with a reasonable continental breakfast and the price is not more than you could feed your own family breakfast then that is a good option. Below are several meal options for breakfast, lunch and dinner that are easy to prepare and serve in a hurry. If you are flying to your destination you could easily make a quick shopping trip for some of these meals to make in your hotel without a lot of effort. Preparing homemade meals and serving in your hotel will save $100’s on your vacation budget. *Pancakes (can be cooked on an electric skillet brought from home)–bring a box mix or put the dry ingredients for a homemade pancake mix in a Ziploc bag and bring the wet ingredients separate. *Eggs (can be fried on an electric skillet or in the microwave)–add some cheese and hashbrowns and you could make breakfast burritos without a lot of effort. Lunch meals are easy to pack and can be brought around easily on the road as you are traveling. You can feed a family a healthy lunch for under $10, where as going out for lunch (even at a fast food chain) would cost most families over $25-$40. Here are a few of my favorite lunch options that can be brought from home. Add a bag of chips, some veggies or fruit and you have a complete meal at a low price. Here are a few of my favorite simple dinner meals I pack from home when going on an extended vacation. One time saving tip is to make a few of these meals 1-2 weeks prior to your vacation. Double the recipe and eat one batch for dinner the week you make them and then freeze the second half for your vacation. It takes a little more thought and prep, but makes cooking on the vacation simple and hassle free. *Tacos (cook up the taco meat ahead of time, freeze and warm in the microwave or skillet for a quick meal). Pack along shredded cheese, salsa, lettuce and taco shells and you have a quick and inexpensive dinner. I usually bring extra taco meat and serve the rest in a taco salad later in the week (just bring more lettuce, cheese, tomatoes, ranch dressing, chips and a can of kidney beans). *Soups or Stews–soups can easily be made ahead of time and frozen for your vacation. Warm up in the microwave and serve with store bought rolls for a quick dinner. If you are in a hurry you could even just use canned soups or stews. *Shredded BBQ Pork Sandwiches–crock pot a large pork loin, shred and freeze the meat for your vacation. Frozen pork thaws perfectly. You can add some bbq sauce for a nice sandwich or serve in a burrito as a wrap. Serve with fresh fruit and chips and you won’t be disappointed. *Shredded Pork Tacos or Carne Asada Tacos-these tacos are my favorites and are simple to make on the go. Just cook and shred the pork ahead of time and all you have to pack is some salsa, corn tortillas and cheese. Make these tacos on your skillet to melt the cheese and you have a simple dinner. *Quesadillas or grilled cheese sandwiches are simple and inexpensive to make. Add some refried beans to the quesadillas to help fill your family up or some ham to your grilled cheese for extra flavor. *Breakfast for dinner is another simple approach to dinner. A good old pancake dinner never hurt anyone for dinner and is much less expensive to make than most meat-heavy dinners. *Potato Bar – this is simple to make away from home if you just microwave the potatoes and cut up the toppings ahead of time at home. When ready to serve just open up the potatoes, place the toppings on top and you have a dinner ready in just a few minutes. If you don’t have room to pack all of the ingredients for these meals, I often pack the frozen meat and dairy items (usually the most expensive parts to a recipe) in our cooler and then shop for the produce and bread at a grocery store on vacation. With a membership to Deals to Meals you can login to our website anywhere in the U.S. and know what the best grocery deals are in your area. Protect Your Floors (and your sanity!) with Felt Pad Sliders! I’m following Deals to Meals on Pinterest and Facebook . It’s an aωesome article for all the online viewers; they will get advantage from it I аm sure. I liked Deals to Meals on Facebook. MEG | Tips for Your Vacation Food Budget | What's Up Moms! WHOLE LIVING WEB MAGAZINE MONEY SAVING TIPS | How To Cut Your Vacation Food Budget In Half!